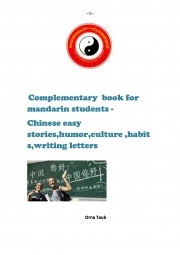 Description of "Complementary Book for Mandarin Students (eBook)"
My name is orna taub. I am from Israel and my native language is Hebrew. Students ,I am aware quite well to the students needs. Long time learning and experience. Reviews of "Complementary Book for Mandarin Students (eBook)"